In the fall of 2015, I had a big decision to make. Something had to give. I was struggling to keep tutoring and take care of the Tutor Coach website, let alone my family! My husband begged me to let something go. He really wanted me to let go of tutoring in the afternoons since my boys needed me more than ever to be present. While it hurt to admit I couldn’t do it all, I knew he was right. He wanted me to stop all together, but knew giving up tutoring cold turkey would be hard for me. We made a plan for me to offer group tutoring that fall. I sent the email out and without realizing it, I lit a ticking bomb inside of my business instead. Parents were not receptive to group tutoring. Indeed, I had destroyed my business. They all left and no more tutoring money was coming in. I sulked for a few weeks. I was honestly super sad about it. But I also knew that I couldn’t manage both well and that family really does come first. Late one night, my husband and I had a chat again because he knew I was upset. In that moment, it became apparent that he was fine with me doing whatever I wanted while the boys were away at school, so long as I was available to do mom stuff in the afternoon and evenings. I made the decision that I would take my in-person tutoring all online and build Math for Middles. I also knew that the Tutor Coach was not a very efficient website and that a lot of systems could be put into place to better serve tutors. So for 9 months, I spent time rebuilding to make sure I was serving tutors better. I made it easier for ya’ll to find where to start and dig into the blog posts available to read (there are over 200) and apply. I started Tutor Coach because I wanted to be able to share about what it takes to build a tutor business. I wanted a community to hang out with, you know–people who get it when a student habitually cancels on you AND have those people support you when you decide to cut them loose. I was relying on my in-person tutoring income to support YOU. Yikes. 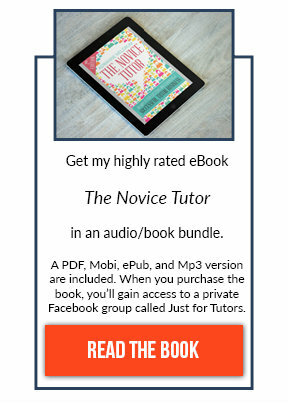 I’ve taught you how to price accordingly so you can reach your financial goals and yet, I failed to apply my own advice here on the Tutor Coach so I could pay the bills and keep the Tutor Coach going. I need sustaining income to continue to fund this work. Nothing in life is free. We all know that, but yet–why do we continually expect everything for free? Free really is bad for business. I don’t get access to online stuff for free. It takes money to run this website. That doesn’t take into account any of the hours I put in answering emails, writing content, and helping tutors inside of the programs I’ve written. I have never wanted to use advertisement to keep this site going. I just don’t. Ads are annoying and often get in the way of getting the information you are seeking. I don’t enjoy sites that have them plastered everywhere. There has to be a way to keep Tutor Coach going. Thinking about a plan moving forward, I have a couple of options available to keep the Tutor Coach around. Purchase one of my products. There’s a book, a course, a class about online tutoring, and other goodies. Affiliate Links. Maybe I don't have any solutions for you that work or meet your needs right now. I do have affiliate links which means if you purchase a product or service through that link, I get a small percentage. You can see some of those links here and here. The money will be used to continue paying for hosting fees, software, and occasional assistant help (because I am NOT super woman). Detonating a bomb inside of my business was a good thing. It allowed me to think about what I was building for the future and be intentional right from the get-go. 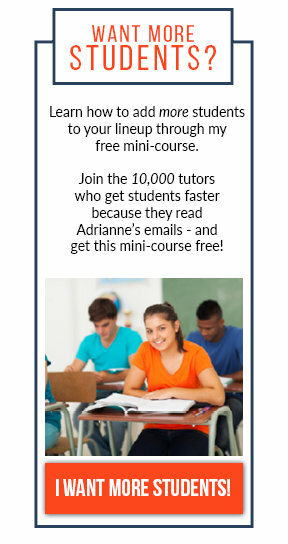 I don’t want just a one-one online tutoring business. I know I’d find myself in the same spot a year later with no availability. I’m building a new business with a completely different model that doesn’t put all my eggs in one basket. I’m creating math videos for parents to use with their child and offering consultations for parents in addition to that, then I’ll add in the one-one work once those two offerings are earning money. My business isn’t like a mobile home that I can just move onto a lot, I am building a castle. A business to last with a strong foundation. It’s going to take a year tutors (or more) and I worry that the Tutor Coach will not make it to see my new business grow stone by stone. My goal with the Tutor Coach is to create a “construction site” with a “camera” (blog posts and Facebook Live videos) so you can watch what I am doing. In essence, getting the blueprints to build your own castle. So my friends, I look to you. I’m asking you for help. There is a bomb ticking inside of the Tutor Coach and I want your help to put out the fuse. Please consider using an affiliate link here or purchase one of my resources. Thank you!